Twenty-one years ago today the first website was published. It looked just like this - basic text, with some words oddly highlighted. On Aug. 6, 1991, Tim Berners-Lee, who is widely credited with inventing the World Wide Web, published that site from CERN, the world's largest physics lab in Geneva, Switzerland. 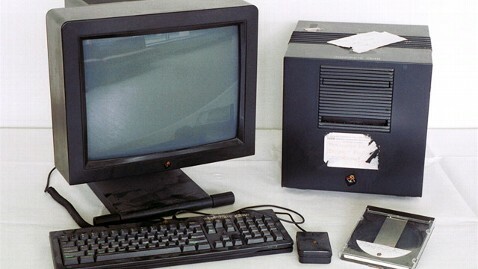 He used the machine pictured above - a NeXT computer - to create the page. The page, as you can see now, explained the World Wide Web or W3 as a "wide-area hypermedia information retrieval initiative aiming to give universal access to a large universe of documents." The first page has been preserved and republished by CERN, and according to ZDNet, the first web server is still powered on at the lab with a sign warning, "This machine is a server. DO NOT POWER DOWN!" About a year after that website was published, in July 1992, the first photo was posted on the Web. It was of a comedian musical group. Berners-Lee was honored during the opening ceremony of the 2012 Olympics .